David Stewart is the President’s Professor of Marketing and Business Law in the College of Business Administration at Loyola Marymount University in Los Angeles, California. He has previously held tenured faculty positions and administrative roles at Vanderbilt University, the University of Southern California, and the University of California, Riverside. He has also served as a research manager for a major advertising agency. Dr. Stewart’s research focuses on market analysis, consumer behavior, market definition and structure, branding, marketing communication, marketing research and marketing management, and he has offered testimony in these areas as well as deceptive advertising and intellectual property. Dr. Stewart has published more than 250 papers and a dozen books, and has served as editor of the Journal of Marketing, the Journal of the Academy of Marketing Science, and the Journal of Public Policy and Marketing. 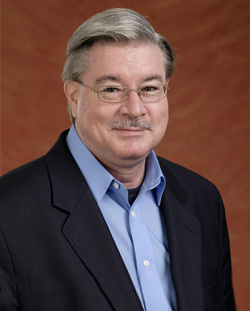 He has served on the editorial boards of other leading marketing journals, such as the Journal of the Association for Consumer Research, the Journal of Marketing Research, the Journal of Advertising, the Journal of Advertising Research, the International Journal of Advertising and the Journal of Interactive Marketing, among others. Dr. Stewart holds an M.A. in general experimental psychology and a Ph.D. in personality psychology from Baylor University.